The physicians with The Methodist Physician Group Specialists in Merrillville, Indiana specialize in orthopedic surgeries of all types from the top of the head down to the little toe. Orthopedic surgery is an advanced medical specialty that utilizes both surgical and nonsurgical means to manage conditions involving the musculoskeletal system. The specialists at Methodist Physician Group Orthopedic and Spine Center spend years learning how to diagnose, treat and repair injuries to bone and muscle improving the quality of life for their patients. What kind of training is necessary to specialize in orthopedic surgery? Physicians go through rigorous training to become orthopedic surgical specialists. After a four-year undergraduate education, they spend another four years in medical school. Once they complete their postgraduate education, they move on to residency training in orthopedic surgery, which usually last another five years. It's a very competitive field, and only the best of the best make it into a residency program. What are some different types of orthopedic surgeries? These are just a few possible choices available in this diverse field of medicine. 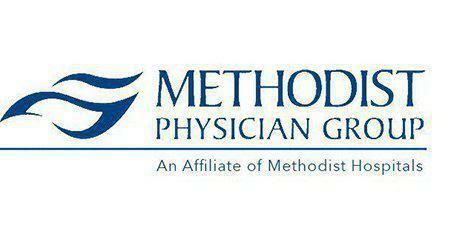 Arthroscopy is a very distinctive type of surgery performed by specialists at The Methodist Physician Group Specialists. They use a tiny camera and surgical tools to diagnose joint injuries and do repairs. The equipment requires extreme precision, so it takes additional training to perform this kind of orthopedic procedure. Several of the orthopedic surgeons at Methodist Physician Group Orthopedic and Spine Center have the necessary training to offer this minimally invasive procedure to patients. Are there risks with orthopedic surgeries? There's a risk with any kind of surgical procedure including orthopedic. The specialists and care staff at The Methodist Physician Group Specialists will go over the potential complications, as well as post-surgical instructions that help avoid problems. Some common concerns with these procedures include infection, nerve damage, and bleeding. That's one reason the training is so fierce for those who choose this specialty.